ILOILO, Philippines – FPG Insurance, the major player in the general insurance industry and Cebuana Lhuillier Foundation, Inc. (CLFI), the CSR arm of the PJ Lhuillier Group of Companies (PLGC) formally inaugurated a community learning center under CLFI’s Alternative Learning System Program in Sitio Nagpana, Barotac Viejo, Iloilo. 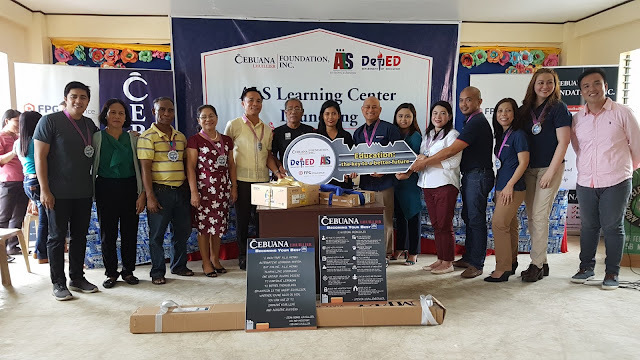 Representative of DepEd Iloilo receive from FPG Insurance and Cebuana Lhuillier Foundation school equipment for the Iloilo Community Learning Center. Guided by CLFI’s advocacy “Always Love Schooling”, FPG Insurance provided support to the learners enrolled in the program to enable them to complete education and pass the Accreditation and Equivalency (A&E) test with flying colors. Integrated at the Nagpana Elementary School complex, the recipient community learning center has a historical 99% passing rate for its 2017 ALS Accreditation and Equivalency test. “It is a personal commitment of our President and CEO Ramon Dimacali to support initiatives that pave way for education. He believes that education is the first step towards success and these privileged students of Barotac Viejo will have that with the help of Cebuana Lhuillier Foundation,” said Branches Business Group Assistant Vice President and Cebu Branch Head Janice Diaz. 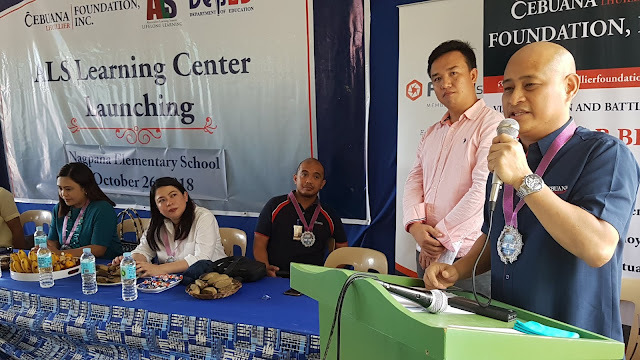 The launch was also attended by FPG Insurance Assistant Vice President for Channels Marketing Group Vinelle Haber, CLFI’s Education and Special Projects Head Pebbles Muniz, members of the Department of Education – Iloilo Division represented by Schools Division Superintendent Miguel Aposin, Schools Division Assistant Superintendent Dr. Azucena Falaes, and Public Schools Division Supervisor and Indigenous Peoples’ Education Focal Person Concepcion Tababa, members of the Ati tribal community, and Hon. SB Member Antonio Balairos on behalf of Barotac Viejo Mayor Hon. Niel Tupas III. CLFI Executive Director Jonathan Batangan delivers a talk to the students of Sitio Nagpana Community Learning Center. “Cebuana Lhuillier Foundation has always been active when it comes to promoting and giving access to education. We thank FPG Insurance for being our partner in bridging continued learning for adults and youth of Barotac Viejo. We hope to see more institutions giving out support to enable more learners in the future,” said CLFI Executive Director Jonathan Batangan. The students of Barotac Viejo Community Learning Center will all undergo an equivalency examination by the end of their training course to determine their viability to receive a certification from the Department of Education. FPG Insurance offers a comprehensive suite of insurance products from motor insurance, property insurance, to travel and personal accident coverages. 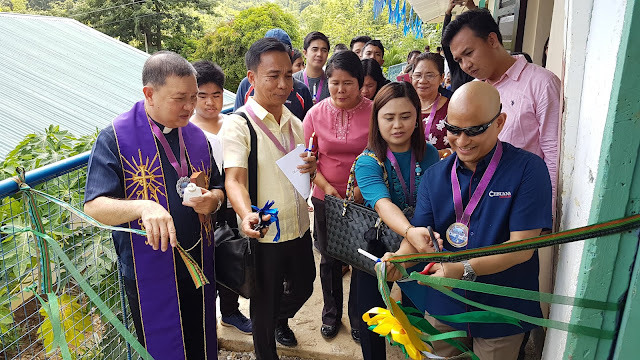 Insurance Branches Business Group Assistant Vice President Janice Diaz and CLFI Executive Director Jonathan Batangas cut the ribbon for the Sitio Nagpana Community Learning Center inauguration. Formerly known as Federal Phoenix Assurance Co., Inc., FPG Insurance was established in 1958 and is a member of the Zuellig Group of Companies in implementing bespoke insurance and risk management solutions for its clients. FPG Insurance is the trusted name in general insurance solutions. FPG Insurance also has operations in Indonesia and Thailand. Cebuna Lhuillier Foundation, Inc. (CLFI) is the Corporate Social Responsibility (CSR) arm of the PJ Lhuillier Group of Companies (PLGC) established in the year 2000. CLFI focuses on programs in education and implements the Nationwide Scholarship and the Alternative Learning Programs as well as initiatives promoting disaster resilience.